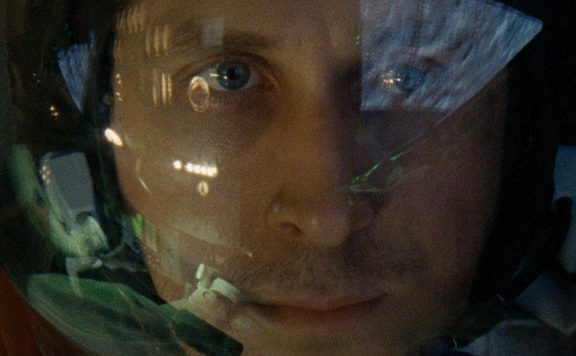 Aaron Neuwirth reviews First Man, a film that puts intense character focus on the emotionally introverted Neil Armstrong, who would go on to command the mission to the moon. When it comes to American, let alone human, achievements, few are as comparable as landing men on the moon. Whether or not we’ve conquered space (I’m waiting to see if Roland Emmerich’s cinematic prophecies come true), the concept of leaving our own planet is the sort of mythic accomplishment that can be explored in a variety of ways and still not come close recreating the feelings going through the minds of the men involved. First Man attempts to put things in perspective when it comes to astronaut Neil Armstrong, (spoiler) the first man to walk on the moon. Given the nature of his mission, one could think a film about Armstrong would attempt to heighten the experience to reflect the epic stature of the man’s legacy. Conversely (and from a cynical standpoint), a film arriving during award season could play up the frantic drama of Armstrong’s professional and personal life, allowing for big speeches and tearful monologues. Wisely, director Damien Chazelle and screenwriter Josh Singer go in another direction. First Man does explore a significant portion of Armstrong’s career as an astronaut, as well as portraying what he was like as a husband and father. That said, the film opts to hold back on showiness. It waits for the right moments to hit the audience with imagery that allows for a big emotional payoff. For the most part, this is a movie depicting process. Some historical highlights are made clear enough, but it’s less about explaining those big moments, and more focused on the reticence of Armstrong, who is in the midst of a massive project that helped shape the history of the world. Looking at this film, one can continue to see the thematic through-line for Chazelle’s features. While not based around the art of musicians, First Man is another exploration of risk versus reward. This concept is subverted by what Armstrong truly gets out of succeeding in his mission, but the film wisely avoids lavishing the men involved with praise. Instead, the more significant focus is on Armstrong’s state of mind, and the cost of this space program. There’s no active motivation by the filmmakers, political or otherwise, to speak against the work of these astronauts and engineers, but First Man doesn’t avoid the controversy their activity sparked in the nation. At a time of war and social upheaval, various tragedies that happened with the Gemini and Apollo missions have an impact that does not go unmentioned, as the film moves forward in time. At the same time, the depiction of Armstrong only grows deeper. Casting Ryan Gosling in the lead role was a brilliant move. I can’t think of an actor today more suitable for a character such as this. With a knack for acting in quiet parts that rely on how to show heavy thinking to the camera effectively, here’s a historical figure perfectly suited for him. Neil Armstrong did not look at himself as a towering figure deserving of praise. He was a quiet man, incredibly smart, cool under pressure, and willing to go to certain distances to get a job done. Gosling embodies this persona with the sort of technical precision that would make Armstrong mildly nod in approval. 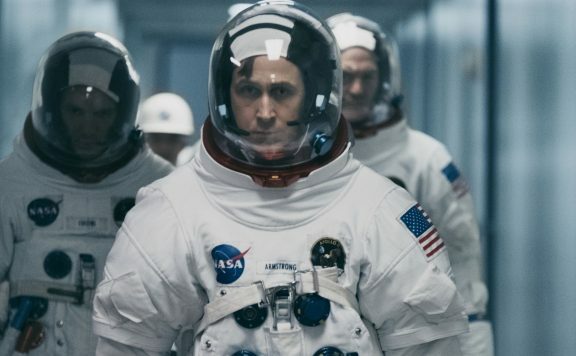 Understandably a film centered around an introverted man can, who commanded the most notable space mission of all time, can provide a challenge. How do you balance such massive spectacle against the most grounded and low-key of personalities? It’s the sort of predicament that has me empathizing (though not agreeing) with those who feel at arm’s length with Armstrong and thus not grasping a strong emotional connection with the film. However, I view First Man as far from a cold and calculated take on Armstrong and his accomplishments. Too much is going on inside Armstrong’s head for me not to notice, and that gave me plenty to latch onto. Additionally, the domestic scenes between him and his wife Janet (Claire Foy, doing plenty with a role that could easily come across as one-note in a lesser film) feel as authentic as it gets when dealing with the weight and stress Armstrong put on their marriage in favor of keeping himself focused on his missions. And it’s not without reason. Early on we see Armstrong dealing with the death of his young daughter. It’s an aspect that is never forgotten, and the film finds a proper sendoff moment when Armstrong is finally able to get the sort of closure he wanted. Even when cemented in history, not everyone can be portrayed as a larger-than-life figure fit for a familiar sense of cinematic warmth. 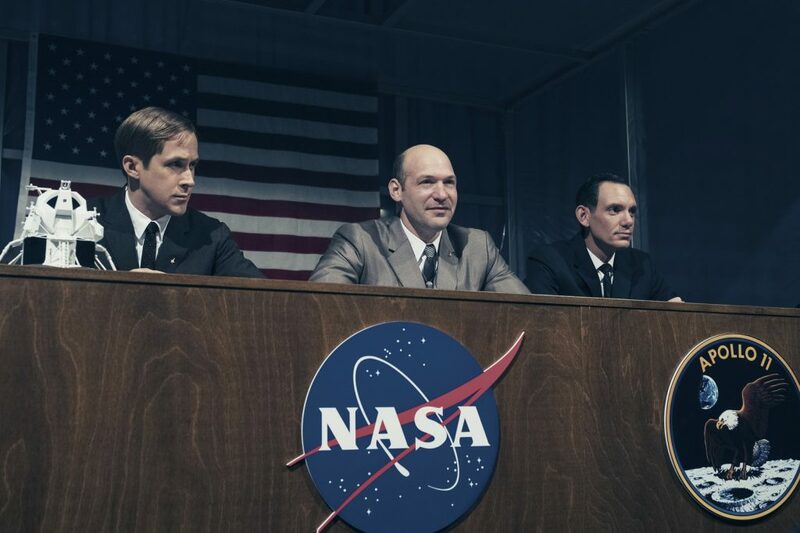 Keeping the supporting cast in mind, First Man is a real who’s who of character actors. Corey Stoll’s Buzz Aldrin leaves the largest impact, as Stoll plays him as an arrogant big mouth (though it’s fitting and respectable as need be). 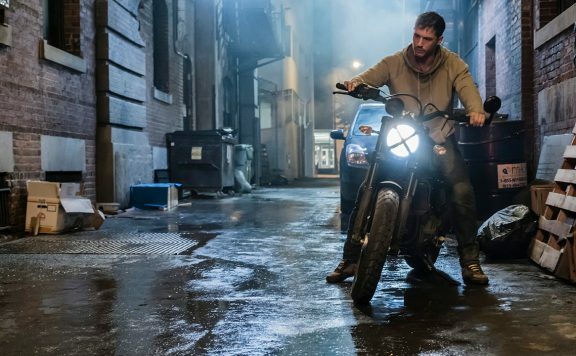 Others such as Kyle Chandler, Ciaran Hinds, Jason Clarke, Lukas Haas, Shea Whigham, Pablo Schreiber, and Patrick Fugit enter in and out of the story as well. Given my knowledge of space program-related history (and a great fondness for films such as The Right Stuff and Apollo 13), I just get a kick out of seeing a variety of great actors portraying well-known figures related to this time in history. When it comes time to seeing these actors involved in specific moments that reflect the events of that period, Chazelle knows where his head needed to be. An opening sequence is about as thrilling as it gets, as we watch Armstrong handle a flight test that treads close to becoming a nightmare. A key Gemini mission is given the shaky-cam treatment thanks to what amounts to a first-person perspective, defying what some would expect when it comes to seeing an entry into space. The build-up to the Apollo 1 test launch is all the more difficult to handle thanks to the film having spent time with those involved. It is these choices, along with others, that help the Apollo 11 mission have a genuine impact on all levels. The lunar sequences were filmed with IMAX cameras, and everything feels so fully realized as Armstrong finally takes that first step. And while some want to show their faux patriotism by speaking against how the film chooses to portray this event (without having seen the movie), it’s a testament to all involved that we get a sequence that feels both huge and intensely personal. It comes as a grand payoff to everything that led to it (and yeah, there are plenty of American flags to be seen throughout the runtime, including on the moon). 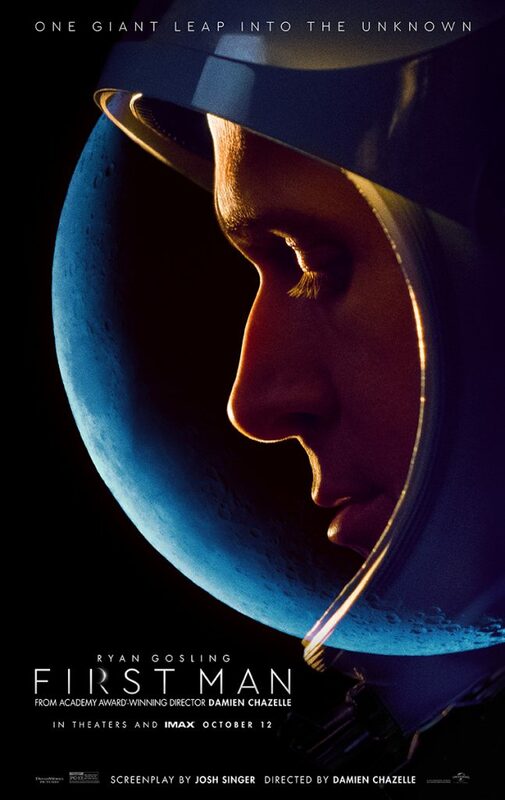 There are honestly very few areas where First Man comes up lacking, provided you are on board with a lead character who describes the prospect of walking on the moon as being, “pleased.” Linus Sandgren’s cinematography and the editing by Tom Cross is terrific, with all the right choices made to reflect best what we need to see. 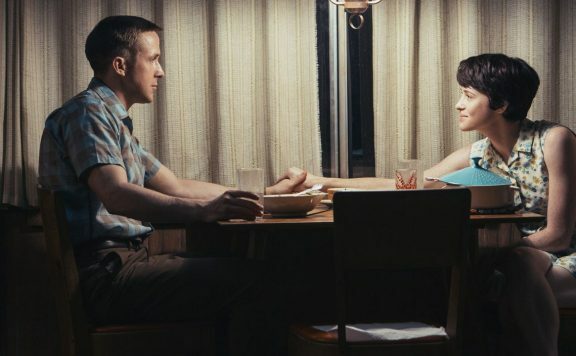 Justin Hurwitz pulls out all the stops, and even a Theremin, to create a fantastic and interesting score, further helping to put us in the mind of Armstrong. Also great is knowing when not to use music, further highlighting the extremes of certain situations. First Man is a real winner. It takes a significant story and makes plenty of the best decisions on how to reflect on it. 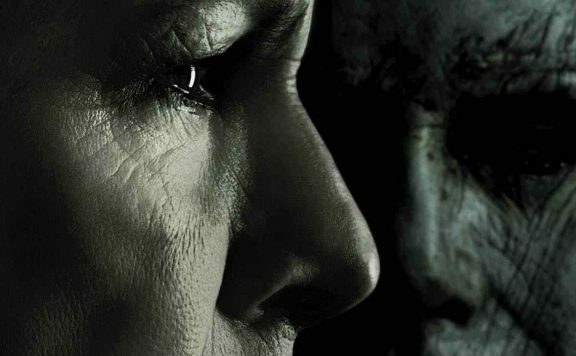 The film separates itself from others like it, thanks to the trajectory of the narrative and heavy character focus. 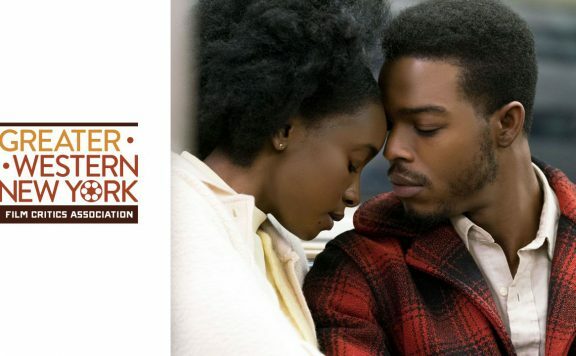 There’s also the clever conceit of building in attitudes surrounding the events of this time, without bogging it down in matters that aren’t thematically connected or fitting for a by-the-numbers biopic. Gosling anchors this film with a strong, low-key performance, appropriate for the man being portrayed. And what else needs to be said about the strength of gorgeous IMAX photography? When it comes to terrific biographical adventure films such as this, the eagle has landed.